Put your brilliant ideas in print with a newsstand-quality magazine. Hawk Graphics magazine printing solution is here to meet all your specifications. 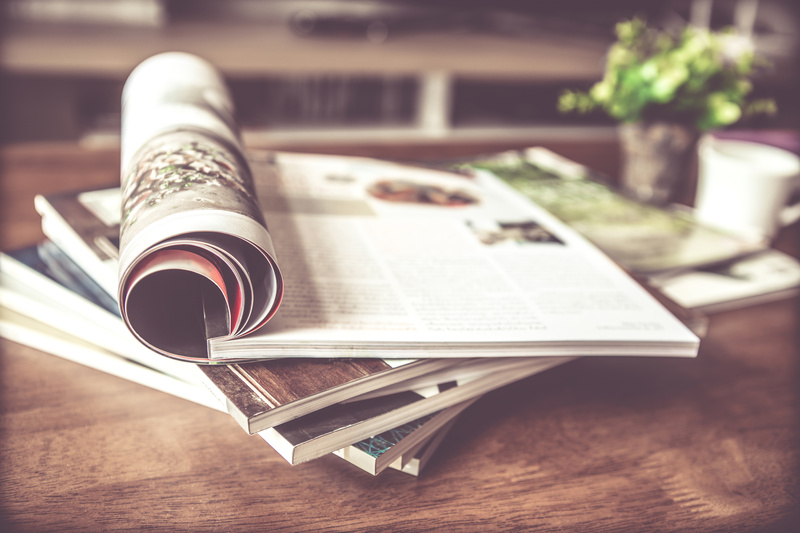 Magazine printing lets you share important news, compelling stories and vibrant photos. The magazine printing solutions at Hawk Graphics let you share shippets, eye-catching visuals and in-depth news with readers. Whether you print your magazine weekly, monthly or quarterly, Hawk Graphics magazine printing lets you reach readers right on schedule with our printing and mailing services. Our team of experienced and professional printers has catered to the requirements of numerous business houses in the past. We offer a wide variety of magazine creation services including design, printing and distribution. From outlining drafts to printing their fresh and exciting concepts, our magazine design team has assisted businesses in meeting their objectives effortlessly. We invest heavily in technology and offer a wide range of printed products including graphic design services, layout, typesetting, electronic prepress, full-color color printing, digital and variable data printing, binding, finishing, warehousing, fulfillment and delivery services. Hawk Graphics helps bring your vision to life with custom printed magazines that let stand out from the competition. Contact us today to learn how we can help you with your next design, print, large format or mailing project. We have the right equipment, process, and people to give you complete confidence in your magazine printing needs with Hawk Graphics.